Thank you for your interest in Village Green Festival! We are looking for artists and makers to join us on the day, to sell their wares to happy festival-goers! We encourage handmade or artist sourced products, as we are always keen to support independant makers and small local businesses. Please fill out this short form to apply for your stall, and find out more about selling at our festival! Pitch : 2m x 1m per stall, with gazebo supplied if required. Table : If required, we can supply 1 trestle table per stall, with your chosen number of chairs. Fee : The stall fee is £40 per table. Attendees : In 2017, we entertained 20,000 festival goers across the day, creating lots of custom for our stallholders and makers! 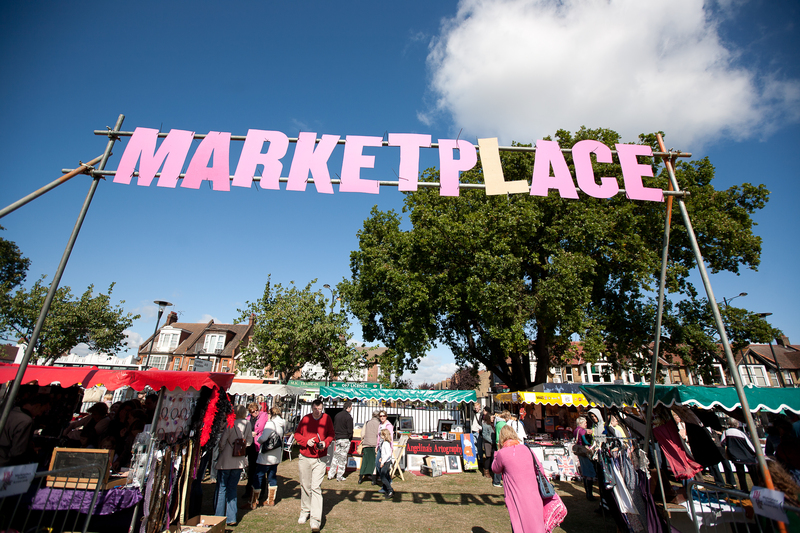 All successful stallholders will be contacted by 14th April 2019. Fees must be paid by 1st May 2019 to confirm your pitch. Please send us some beautiful high res images to be included on our social media! Give us some background to your story/activity/stall wares - a couple of sentences is fine. Please also send us your social media links, and like our page as well! We will provide one trestle style table, and can provide chairs - please indicate how many you will need. If you require a car to bring materials onto the site please provide us with your licence plate number and phone contact for the driver. We will not be able to issue a permit without both pieces of information, and you will not be able to get on site without a permit. All items are traders’ own responsibility. Metal will not accept liability for loss of, or damage to, any stock, exhibition unit, entertainment, equipment or any other property of the Trader at any time howsoever caused. Traders are advised to insure their stock, exhibition units, entertainments and equipment against such loss or damage including risk of fire. Traders are responsible for the security of their exhibits and property at all times. No generators are allowed in the March of the Makers tent. Traders will be held responsible for loss or damage to, or injury to, property (including other Traders) and persons caused by themselves, their employeese or their agents. No liability will be accepted by the Event Organiser, their servants, agents, independent contractors or sponsors for any injury (including fatal injury), illness, damage or loss whatsoever directly or indirectly occasioned to person or property, whether due to negligence or otherwise howsoever subject to the provisions of the Unfair Contract Terms Act 1977. In the event of cancellation or postponement of the event, Metal shall not be under any liability whatsoever in respect of any expenditure or liability or loss incurred by you or your contractors. Traders are please required to keep their site tidy at all times and kept clear of litter. The fee for a stall is £40. We will be looking through applications and contacting those successful, with further details in how to pay. Please make this payment by the 1 May at the latest. Press Submit below to send us your info.